A group of horned dinosaurs, whose fossilized remains were discovered in Montana’s Judith River Basin, are the oldest known members of the family that includes the famous Triceratops, a new study reports. The specimens, named Judiceratops in honor of the waters near where they were found, are entirely new to science — noted for the distinctive spiky frill that framed their faces. Dated at 78 million years old, Judiceratops is the oldest known of the chasmosaurines, a group of stocky herbivores with horned faces and long frills that are recognized today by dinosaur-obsessed kids everywhere. The ancient species — known officially as Judiceratops tigris — was identified by paleontologist Dr. Nick Longrich of Yale University, while studying the skulls of three adult dinosaurs and one subadult that were excavated from the Judith back in the 1970s. Longrich told Western Digs that the animals’ signature “hornlets” along the edge of their frills suggested they were members of a unique genus and species. 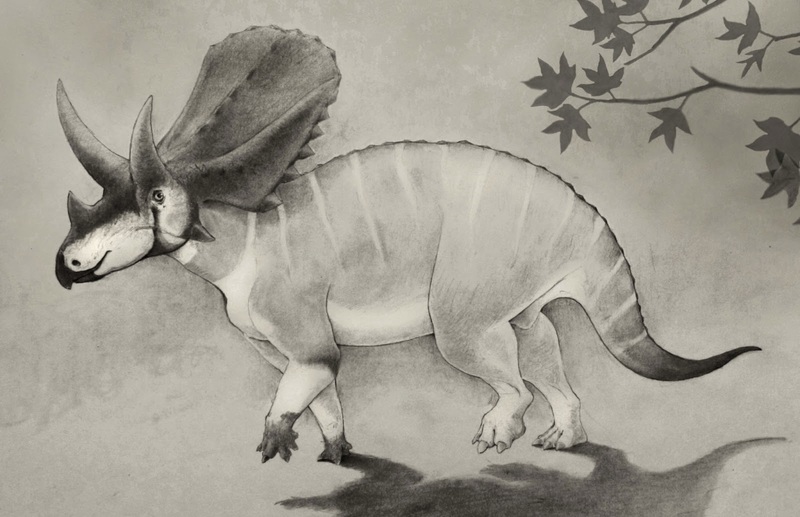 “In Judiceratops, the hornlets near the cheek region of the frill are quite large — big triangular things — and they become very reduced so that they are just low keels along the back,” he said. Though they originated in Asia, horned dinosaurs proliferated after spreading into North America, where they became important figures in the continent’s panoply of dinosaur diversity. The most well-known chasmosaurs were both the biggest and the most abundant — Torosaurus and Triceratops — the dominant herbivores of the ancient American West. The exact origins and earliest days of this charismatic group have remained obscure, with no definitive traces of them having been found that date before 76 million years ago — until now. But Judiceritops isn’t the first of its kind to have risen from the Judith: Paleontologist John Bell Hatcher discovered the first ceratops species ever identified, Ceratops montanus, there in 1888. After comparing the features of Judiceratops with ceratopsians found all over North America, Longrich determined that the ancient J. tigris belongs near the base of the chasmosaur family tree. In addition to shedding rare light on this group of horn-faced dinos, Longrich says, this discovery adds to the bounding diversity of dinosaur species that have been found throughout the West in just the past 10 years. “We’re increasingly coming to see that dinosaur evolution was more rapid and dynamic than we used to think,” he says.